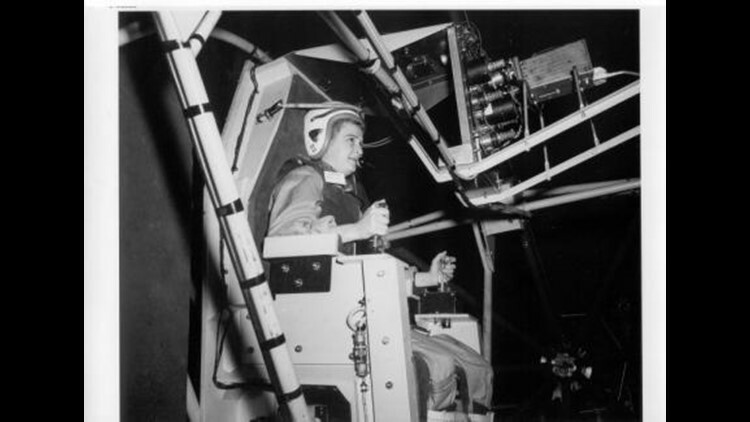 Geraldyn "Jerrie" Cobb tests the NASA Gimbal Rig. Photo is part of the International Women's Air and Space Museum original photo collection. Phenomenal STEM conference for high school girls flying into Burke Lakefront Airport on November 10th. Registration ends November 2. Know a young lady in high school who is interested in a career in STEM? Please join us from 9 a.m. to 2 p.m. on November 10, 2018 for a FREE conference hosted by the International Women's Air & Space Museum (IWASM) located inside Burke Lakefront Airport. YOU MUST REGISTER BY THE END OF FRIDAY, NOVEMBER 2nd. The Wings of Women (WOW) conference is geared towards high school female students interested in pursuing STEM career fields. We bring in professional female mentors from various STEM fields, who spend the day speaking with the students about how they got to where they are today. There are also hands-on activities that go along with each of these fields to help spark further interest. This is a great opportunity for young ladies to be inspired and empowered to pursue whatever their hearts desire. This year's keynote speaker will be Shaesta Waiz, an Afghan-American pilot, who is the first female certified civilian pilot from Afghanistan, and the youngest woman to fly solo around the world in a single-engine aircraft. Applications are required for each student wishing to attend. The deadline for applications is November 2, 2018 along with a $5 reservation fee. This fee will be returned upon check-in on the morning of the event. A parent signature is required in order for each student to participate. Click HERE for an application. Incomplete and/or late applications will not be accepted. This event is first come, first serve. This year's conference is sponsored by Signature Flight Support and the Helen Greene Perry Fund.